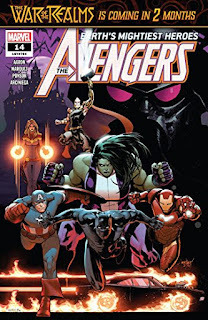 Marvel has gone to war lately - from Infinity Wars to the upcoming War of the Realms - but hey, there's still time to squeeze in a Vampire War for the Avengers. But it's not a war led by Dracula (though he certainly plays a part) - it's an uprising of other vampires, led by someone called the Shadow Colonel (who gets fashion tips from Darth Vader) - and it's a war that rages all over the planet, as vampires either fight for their lives - or try to hide. 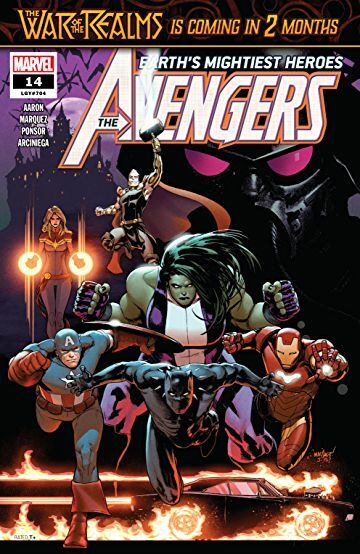 I'm not a big fan of vampires in the Marvel Universe - it's difficult to understand why the heroes haven't stamped out the murderous monsters by now - but it is good to see the vampire hunter Blade back in action. The story includes terrific art and lots of action, so it's entertaining - for a war.